Today my special guests are Jake Keeler and Michael Dawson both from Brewer Supply Group (BSG). Jake is an AHA governing committee member and Brewers Association board member, and Michael is a BJCP beer judge and on the editorial board for Brew Your Own Magazine. Both are well known for their role hosting Brewing TV several years back. Both have appeared individually on the podcast before but this is the first time I’ve had them on together. Jake and Michael share some of the new things they have been doing since their last appearance on the show. Jake shares some of the large changes happening in the home brewing industry including the significant shift to all grain brewing. Michael and Jake share their thoughts on BSG and how it first into the overall home brewing industry. 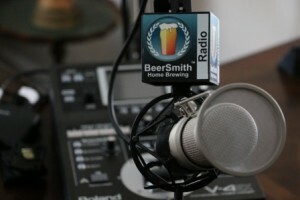 Michael tells us about some of the new trends we’re seeing in yeasts available to the home brewer. Jake describes some of the new malts that are entering the beer brewing market – which is a welcome addition to brewing. We discuss the transition of the market to majority all grain and what that means for suppliers as well as brewers. Jake tells us about some of the new packaging and varieties of hops coming out now. We discuss water profiles and how many people are getting into controlling and managing their water. Jake shares his thoughts on the slight drawdown in home brewing we’re seeing and the challenges some small shops are facing to remain relevant. Michael shares his thoughts on sour beer brewing. Both share their closing thoughts. Thanks to Jake Keeler and Michael Dawson for appearing on the show and also to you for listening!